Monarch Air Group provides private air charter in Eagle, CO. Our clients benefit from top-notch service, unrelenting dedication to safety, wide selection of aircraft, and years of experience in chartering private jets. To obtain a free quote, please use our online quoting tool provided below, or call toll free 1-877-281-3051. Monarch Air Group offers private jet charter flights in and out of Eagle, Colorado. Located in Colorado’s Rocky Mountains, Eagle is a town and the county seat of the Eagle County in the Colorado. It is a dynamic, growing town that offers to its residents and tourists year-around entertainment opportunities, unique community spirit, and natural beauty. 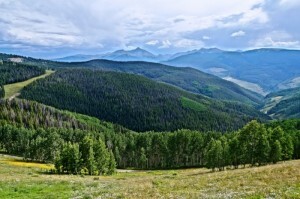 Surrounded by wilderness area, national forest, and open space, Eagle is one of Colorado’s attractive places to see and to visit. Part of the White River National Forest and Eagle’s recreational treasure, Sylvan Lake State Park, offers numerous outdoor activities including hiking, fishing, natural study, picnicking and boating. You can revel in shopping the great boutiques and fine dining at the luxurious restaurants along Eagle’s revitalized streetscape on Broadway. Other places of interest are Eagle Ranch for golf, Eagle Town Park with lawn setting and concert stage, and Castle Peak Shops.